This week I encourage you indulge a bit. Say hello to the genius that is a mini pie on a stick and listen to some tunes handpicked by Beck. 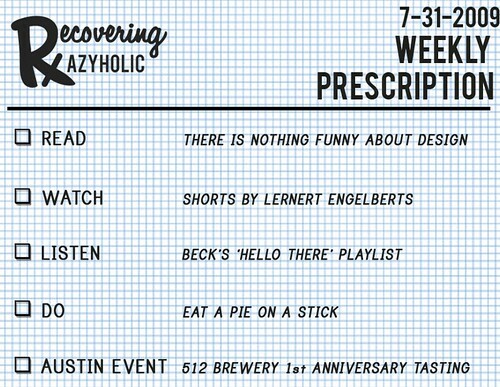 And if you are in Austin let me please personally serve you a beer at the 512 Anniversary party. I will be slinging their brand new brew "One" from 2-5.